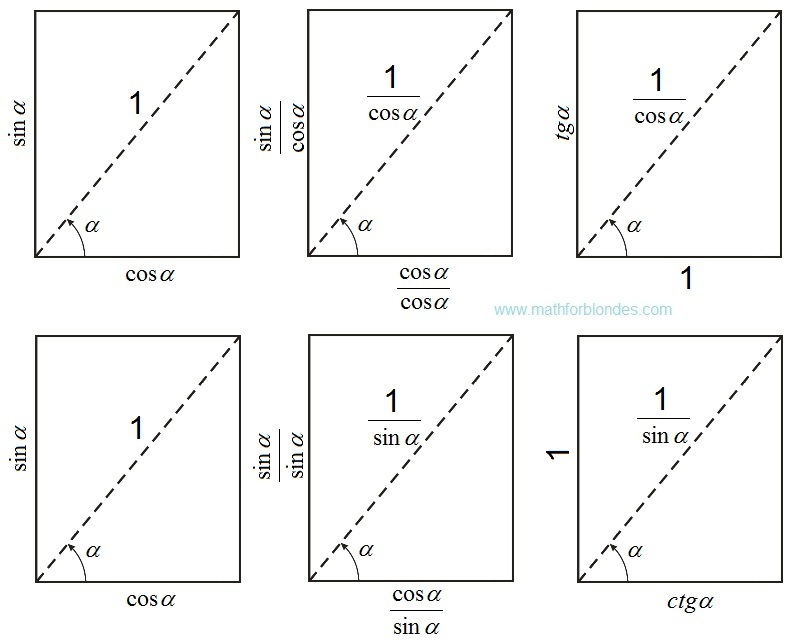 If to divide rectangle elements with simple diagonal into terminating trigonometric functions, the infinite trigonometric functions will turn out. 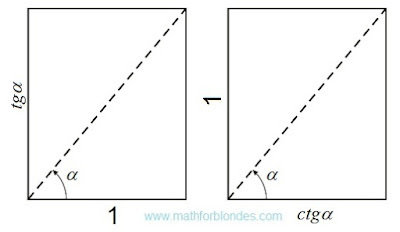 The tangent and cotangent can be presented as the party of a rectangle when as a unit of measure of length length of the perpendicular party is accepted. 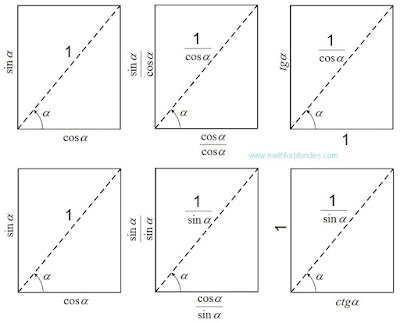 This geometrical representation of a tangent and cotangent can be considered as visual display of interaction between numbers (the infinite trigonometric functions) and units of measure (unit) as a result of which size appears. Other option of geometrical representation of size is shown in earlier published work. Similar representation of numbers and units of measure possesses property of a rectangular symmetry. 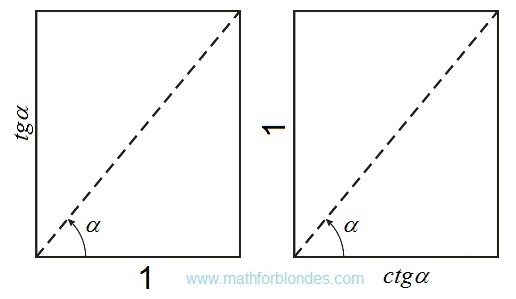 Value of a angle the alpha in this case characterizes a dependence angle between number and a unit of measure.